Many people in Temecula, Murrieta, and Fallbrook have black widows living in or around their homes. This particular type of spider loves our warm, dry climate. But unlike ants, you rarely see black widows out in the open. Indoors, they tend to reside in secluded areas where they are unlikely to be disturbed, like closets, dark corners, garages, or in cluttered areas. Outdoors, they like to hide under patio furniture and kids’ play structures, in wood piles, in bushes, under rocks, or any other sheltered location they can find. It is rare to find black widows indoors since they eat other bugs, and there are more bugs readily available outdoors, but they do occasionally find their way indoors. Unlike the webs of most spiders you’ll find in Temecula, Murrieta, or Fallbrook, the webs of black widows have an irregular, almost erratic, pattern to them. The threads of their webs are also typically thicker than the webs of other types of spiders. Because black widows prefer sheltered areas close to the ground, that’s where you’ll typically find their webs. If you see a web out in the open, or up high, it probably doesn’t belong to a black widow. If you really want to know if you have black widows on your property, go outside and start flipping things over. Look under your kids’ plastic play structures and your patio furniture. Move some rocks around. Take a few logs off of your woodpile. If you have black widows and do this, you’ll start to see them scatter. If you want to keep your distance and still find out if you have black widows, you can shoot a hose toward an area you think they might be, as this will also cause them to reveal themselves. I Have Black Widows on My Property, Now What Do I Do? Black widows are difficult to get rid of on your own, mostly because they’re so good at hiding. However, a professional Temecula pest control company, like Knockout Pest Control, can control the black widow spider population in and around your home. The first thing our Temecula pest control technicians will do when they come to your home is remove all of the spider webs they find. They will then spray a low toxicity treatment around the entire exterior and interior of your home to exterminate the spiders and prevent future infestations. Regular treatment is necessary to keep black widows from coming back, so we recommend anyone with black widows sign up for one of our regular pest control programs. 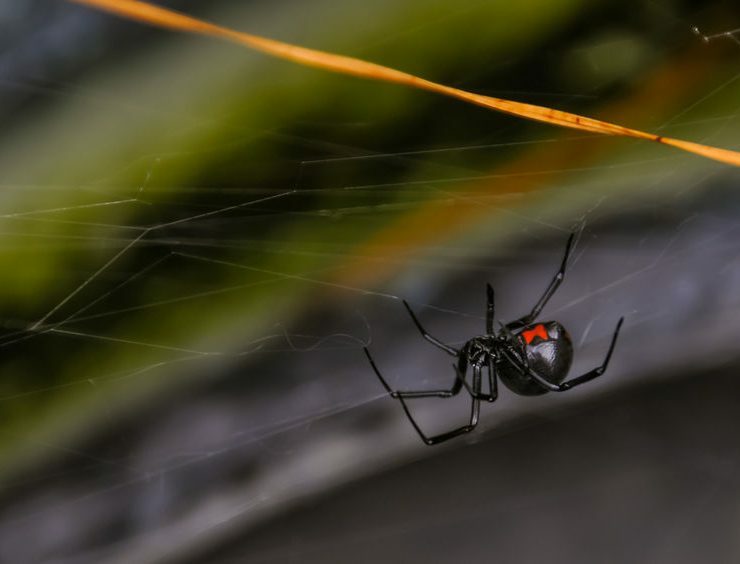 Contact us at Knockout Pest Control to learn more about black widow spider extermination or any of the other pest control services we offer.